MSW used a Create Your Own image (a scan from an antique architectural book) on our Linen material for the backdrop behind a wedding ceremony. They are kindly hosting the image on their site in case anyone would like to use it as well: Click here for full size file! 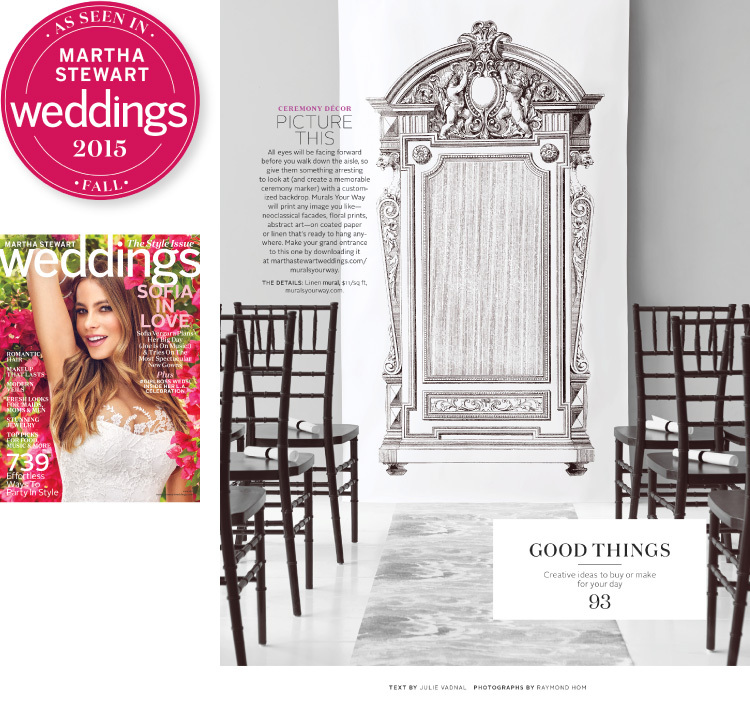 Read the story on the Martha Stewart Weddings Site. All eyes will be facing forward before you walk down the aisle, so give them something arresting to look at (and create a memorable ceremony marker) with a customized backdrop. Murals Your Way will print any image you like—neoclassical facades, floral prints, abstract art—on coated paper or linen that's ready to hang anywhere.